Summer is the one time I feel I can really experiment with colour, it’s festival season and everyone , myself included tends to become a little braver when doing our makeup. 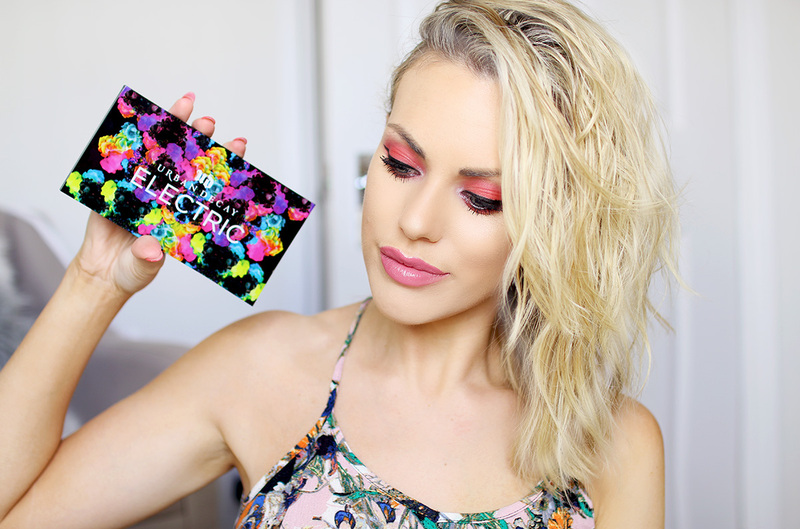 I have definitely been having fun playing around with colours this Summer and my favourite new palette has to be the Urban Decay Electric Palette, this is a festival must have and the ultimate fix for colour addicts. I have to admit I have so many neutral palettes including most of the Naked palettes and not enough with colour so this has become very welcome in my little collection, Urban Decay have given us a whole lot of colour in the palette, packed with ten amazing bright shades you will most definitely find something to suit you and your mood! 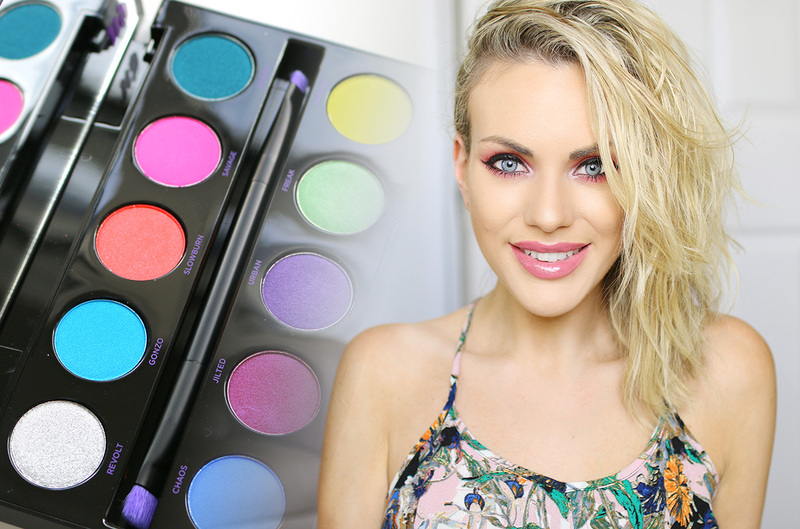 The Electric Palette comes with a variety of colours ranging from Matte to Metallic finishes although the mattes still have quite a satin finish to them which actually makes blending nice and easy, each and every colour is full of pigment. I have found in the past that some UD palettes end up having a few shades that don’t really have much pigment to them (I noticed this in the Naked 3 palette) but the Electric is super duper pigmented and the shadows are finely milled also, a really great formula. The palette is dominated by blue featuring three different blue shades; Gonzo, Fringe and Chaos, all are very pretty shades but my favourite shade in the palette has to be Slowburn. You all know I love a warm eye look so when I saw this colour my eyes almost popped out of my head I literally couldn’t wait to try it. I have got Slowburn on in the images above on it’s own, as you can see these can be worn alone and still look gorgeous so if you are a little afraid of this palette and how bright it is don’t worry because you can work all of these shades into more of a neutral look to using more neutral tones then adding a pop of colour here and there. Although these shadows are super pigmented have you tried the Urban Decay Sin Primer for added intensity and longevity? This is the prettiest primer I have ever tried on the eyes and I have been wearing it alone as well as with shadows! Sin is a gorgeous soft metallic copper shade, I can see it working well with most skin tones it’s very pretty and literally acts as a magnet locking those shadows down all day long with no creasing! So we’ve talked shadows, we’ve talked primers but how about glitter? We can’t go to a festival without a bit of sparkle now can we? 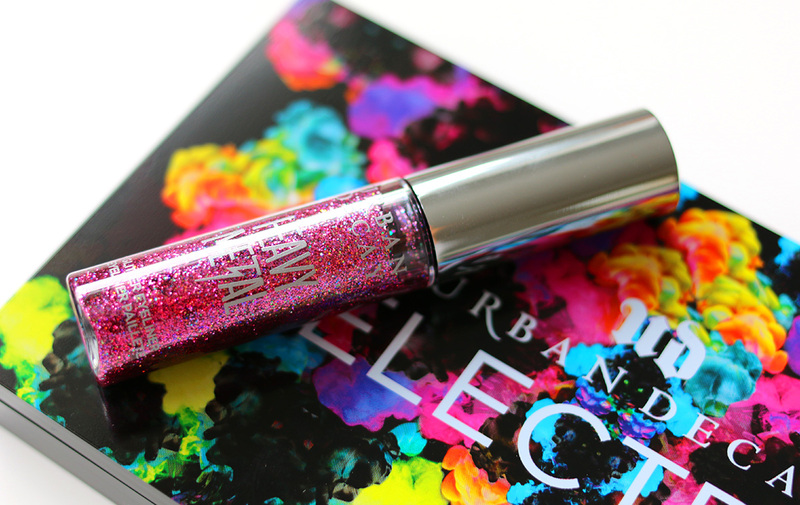 The Urban Decay Heavy Metal Glitter Eyeliners work amazingly well with the Electric Palette but if you are still a little shy about colour then just add some neutral shadows to the lids and then pop the Heavy Metal Liner along the top lash line alone for a pretty and subtle sparkle or add on top of black liner and create a feline flick for that extra drama! I have the shade Junkshow and it’s a gorgeous bright pink with iridescent glitter, it’s very fun and perfect for festival goers! 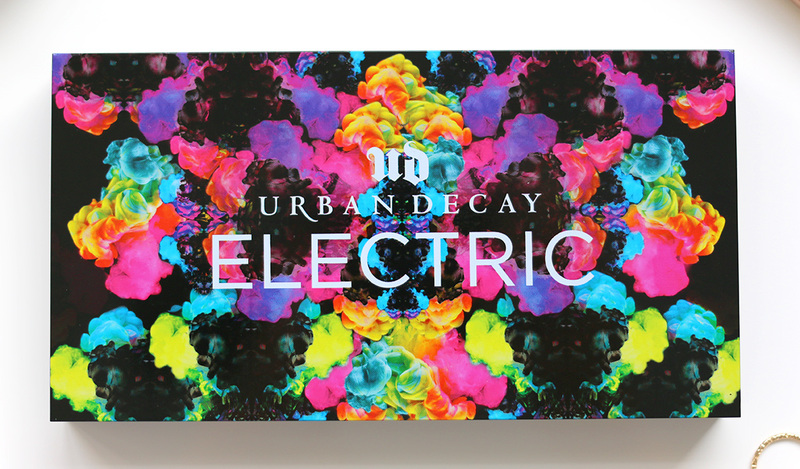 Have you tried any of these Urban Decay beauties yet?